Maybe the time has come to update your home’s exterior, giving it a makeover to improve its looks and thus curb appeal. Recent research from Texas Tech University has plainly shown that enhancements to the outside of a home can boost its value up to 17%. But which improvements will give you the best return on your investment? For whatever reason, some homeowners decide that it’s OK to leave the garage door opened while unattended. This careless action can lead to a variety of nasty consequences, especially if you have an attached garage. A solid garage door is your first line of defense against unwanted intruders, ranging from people to small animals, preventing serious problems from occurring because you didn’t take the time to shut the garage door. Did you know that in the US, there are on average 6,600 residential garage fires every year? Each year, this results in 30 deaths, 400 injuries and over $457 million in property loss. Here are some recommendations from the USFA (US Fire Administration) to help you avoid this happening to you, especially if your home has an attached garage. If the robin isn’t proof enough that spring is here, then the crowds at the garage sales are a sure sign that spring has finally sprung! It can’t be denied that when summer arrives, we all feel the need to discard items that are cluttering up the garage and house. That’s what spring cleaning is all about! 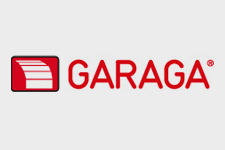 Here are a few garage sale tips from Garaga, the garage door manufacturer. Are you wondering if you should add windows to your current garage door or to the garage door you are planning to buy? First of all, determine your needs. Why do you want to install windows? The drain in your garage floor can serve more than one useful purpose, and there are different options depending on your drainage priorities. Here are some key facts about garage floor drains. Proper storage of all your summer toys, gadgets and vehicles ensures that they’re ready to go when the warm weather returns. If you’ve been too busy having a fantastic summer, the garage may be cluttered with stuff that’s been accumulating during the season.